Every task in Dooster has a comments section. Open a task and click on the “Comments ” link – see red box below. This opens the comments box. Start typing and when finished click save. 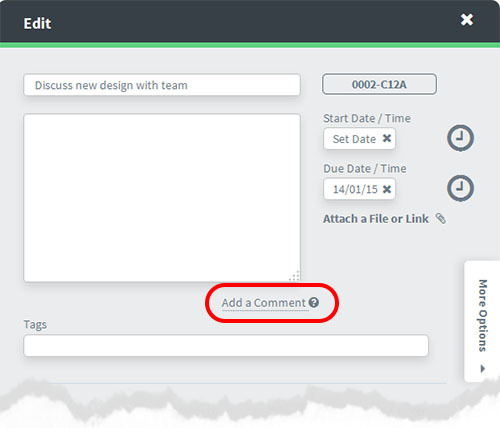 Comments can be created by the person who the task is assigned to, the project manager who gave them the task and anyone who is watching the task. This builds up a thread of comments relating to the task (see below). While you can change the original text of the task – ie in the text dialog box -, the comments thread is a neater way of tracking opinions and responses. 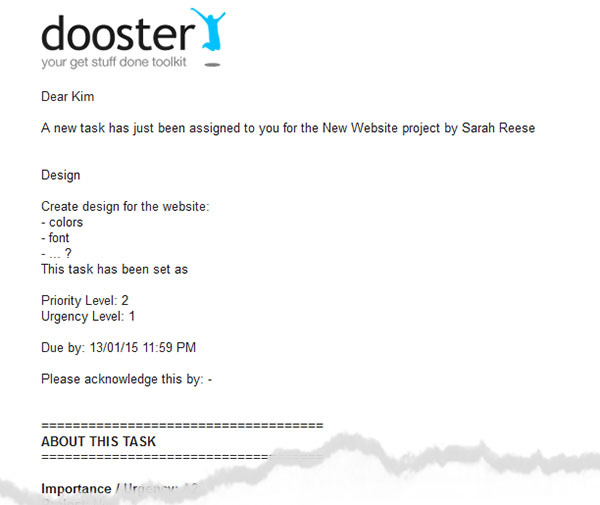 When you create a task and assign it to someone they will be automatically notified with an email. This shows them all the relevant information, so they don’t have to login to Dooster to read it. The person who assigned the task, and any “Task Watchers”, will be emailed this comment. Everyone else gets an email notification of this latest comment in turn… and so it goes on. This simple functionality is surprisingly powerful because it means you don’t need to log in to your Dooster to control a task. You can easily handle tasks via your email no matter where you are. Everyone stays in the loop. This makes for better communications and should add to your teams efficiency and effectiveness. 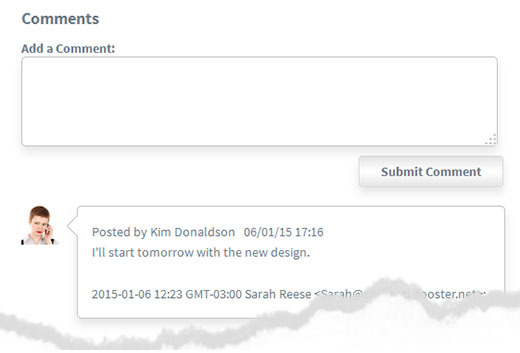 In addition to controlling the comments via email, you can also handle all the comments when logged into Dooster.